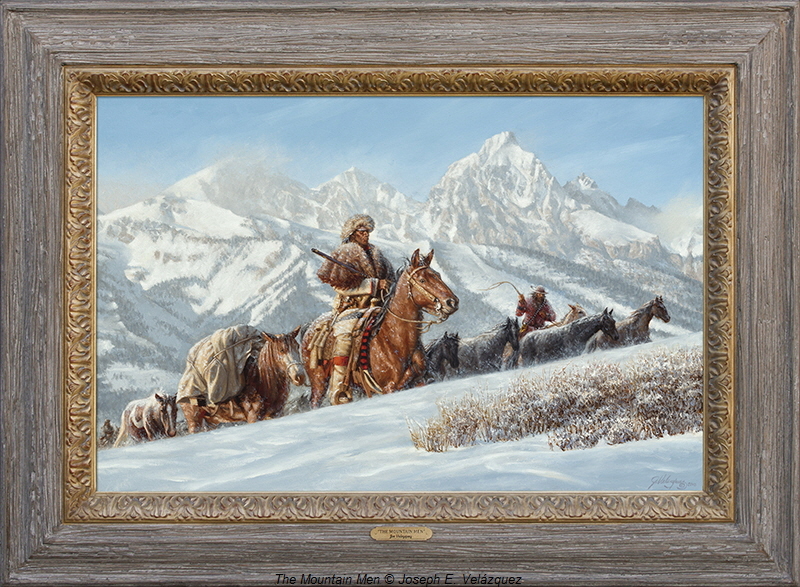 A brigade of trappers traverses “Jackson’s Hole” named after Davey Jackson who wintered in the valley in 1829. For efficiency and protection, a brigade usually consisted of 40 to 60 men. Only when working the streams in search of beaver would they break into teams of 2 or 3 men. 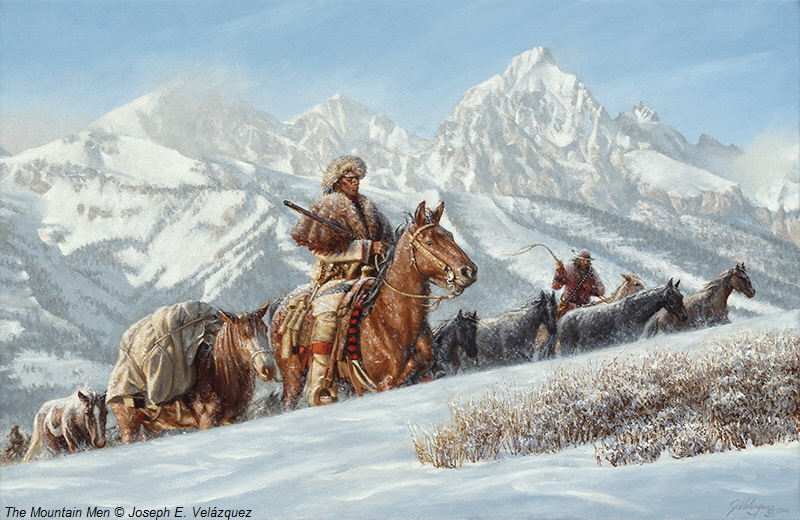 Horses were a valuable trade item and the mountain men were constantly on guard to protect their property from the Indians. Hopefully this brigade will fare well against the ever present dangers.